This year, for the Christmas Lights switch-on we upgraded our P.A. system from 100 watts to 1700 watts. This is enough power for a large outdoor event. If you a group in Marsden then you are welcome to borrow the P.A. system for your events. 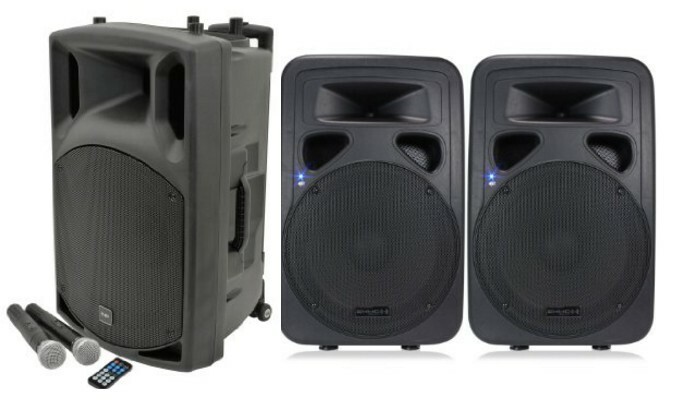 It consists of a standalone 100 watt active speaker with an internal battery and two wireless microphones. It has a USB slot for playing .MP3s and a line in. It also has two 800 watt auxillary active speakers with cabling to the main unit. The system can be used indoors and outdoors. We also have trestle tables, high viz vests and a gazebo available for borrowing. We will shortly add to this site a full page listing the assets we have available for lending out.